Landrace pigs were first introduced into France around 1930; however, it was not until after World War 2 that they were extensively imported into France, mainly from Sweden. 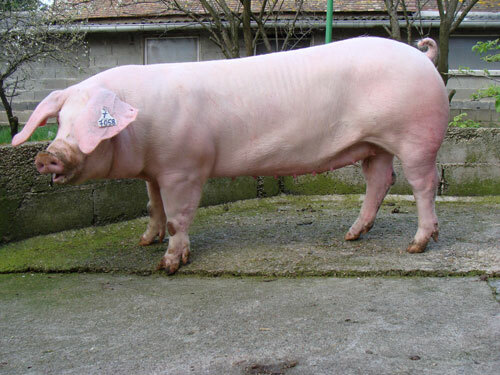 Todays French variant of the Landrace pigs is typically large and white with heavy drooping ears. They have been bred for skeletal soundness, heavy muscling, good mothering, and prolificacy. Sows average 19.7 pigs per year. Their hams are bulging and their rumps are level and wide with very muscular loins.